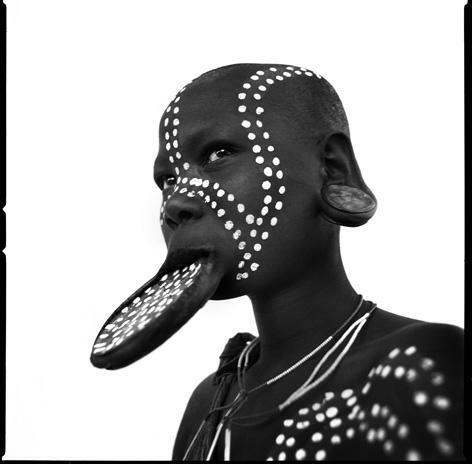 Omo Valley, southern Ethiopia: Mursi girls receive their first lip plate, considered an attractive adornment, at a young age. A small hole is cut in the lower lip and a plate is inserted. Over the years, the hole is expanded as increasingly larger plates are placed into the opening.